A recent advertisement issued by IndiGo, India’s largest private carrier, looking to hire commanders and senior pilots from South Amercia and West Asia, has got its existing pilot community up in arms. The pilots say the salary, benefits and the choice of bases being offered to the foreign recruits are better than what they get. The advertisement promises the expat pilots a salary of $12,003 a month, overtime of $3,500 a month and an annual bonus of $7,000. Currently, IndiGo has around 54 expats among its 1,220-odd captains for its fleet of 153 A320s, including the 35 A320Neos. IndiGo’s pilots are also upset as their last official pay hike — of less than 10 per cent — took place in 2015. The existing pilots feel doubly outraged that these generous expat packages are being offered at a time when their “salaries have not been revised to keep pace with inflation”. The airline, which did not answer a direct query on this, insisted that its packages are competitive. However, it is not just the expat versus domestic issue that is roiling IndiGo’s pilot community, a further divide appears to have risen within their ranks — between the former Indian Air Force (IAF) pilots and the non-IAF pilots. Almost a third of IndiGo’s pilots are from the IAF, a fact confirmed by the airline in response to an email query from Business Standard. According to the pilots, Indigo has been asking its pilots and first officers to give up their entitled leaves and fly, albeit compensation. The IAF pilots, who are middle-aged, are willing to fly any number of hours, as they are keen to make quick money before they retire. The non-IAF pilots say this undermines their efforts to bargain or negotiate better terms with the management. They say that the former IAF pilots do not seem to care about a healthy work-life balance. Hence, the non-IAF pilots end up looking selfish and disloyal, which is not true. The non-IAF pilots also say that the IAF pilots do not have the requisite expertise or number of hours on the A320s, an allegation that IndiGo strongly refutes. “All our pilots are put through rigorous selection and training and are licensed only when they achieve the high standards demanded by the company and the DGCA; whatever their background, whether civil or military, Indian or expatriate,” the airlines asserts. There are two other issues, which irk the pilots. The first relates to the work contracts, which they signed with the airline. According to them, the contract bars them from setting up any kind of body through which they can unite to take up their grievances with the management. IndiGo pilots don’t have any internal union and are not part of any external union such as the Airline Pilots’ Association of India as of now. “There is an unwritten divide and rule policy that operates,” says a senior commander, who has been with the airline since its inception. The second niggling issue concerns the notice period that pilots are to serve according to the terms of their contract. Pilots say their contracts specify a six-month notice period. However, after the new CAR (Civil Aviation Requirements) were issued in August 2017, the airline sent them emails saying that their notice period would be for one year and the acceptance or acknowledgement of the email would be treated as the new legally-binding contract. “This cannot be legally binding since we have not signed a contract with them for a one-year notice period. How can an email suffice,” asks a senior IndiGo captain. 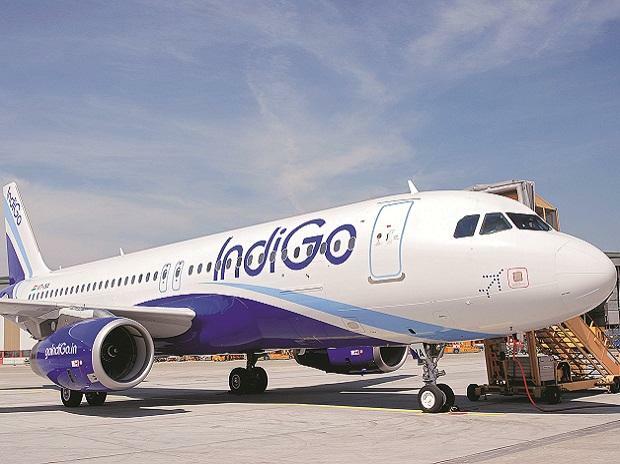 However, the airline maintains that the 12-month notice period is according to the CAR rules, which is an industry-wide obligation, and not specific to IndiGo. All this has further sharpened the resentment over the airline proposing to hire more expat pilots. Of course, this is a controversial issue across airlines. Pilots and their unions have been asking for the removal of expat pilots and the government has been backing them on this. In December 2017, minister of state for civil aviation Jayant Sinha told Parliament four airlines — Air India Express, Alliance Air, Jet Airways, and IndiGo — collectively phased out 84 foreign pilots during 2017. In December 2017, there were around 249 foreign pilots employed by various domestic airlines but given the growth the sector is witnessing in India, experts feel the number of expat pilots hired by the airlines will only go up in the future.